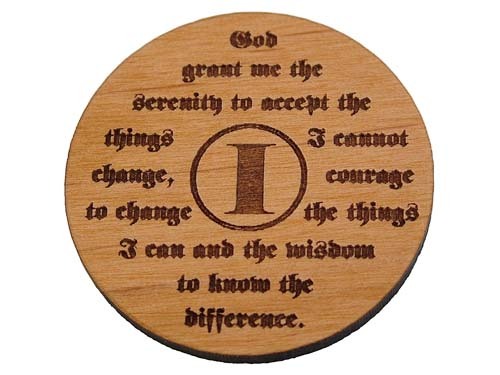 Something extra special for Al-Anon members! 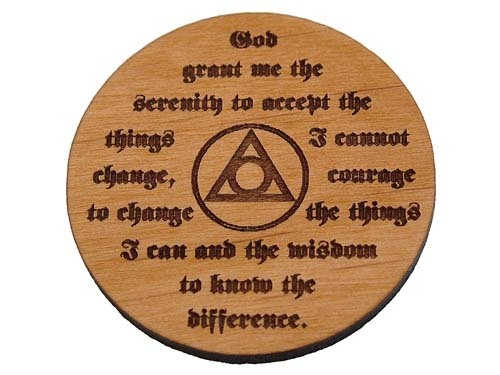 Choose from rich Alder wood or beautiful Maple wood! 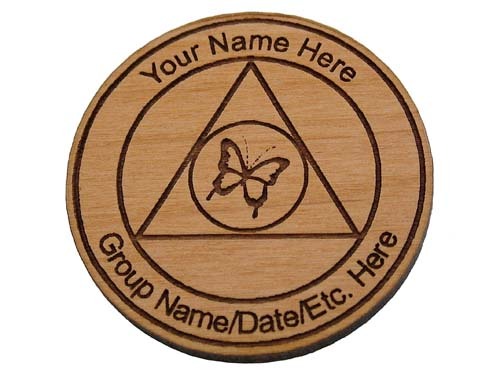 These unique wooden anniversary medallions are made that much more special by personalizing each with a name and recovery date, home group name, etc. 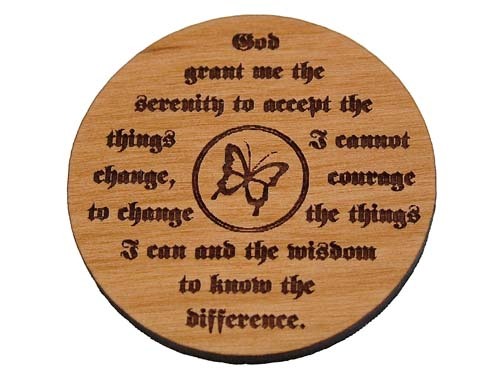 The Serenity Prayer is beautifully laser engraved on the back-side of these medallions along with your choice of several different design options; Anniversary year designations, a beautiful butterfly, or a simple Al-Anon symbol. Add a nice Velvet Gift Pouch, too!